By my own admission, what lead me to a love of red wine was Zinfandel. Specifically Dry Creek Valley Zinfandel. 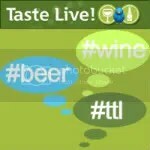 Which, truly, I still love, adore, and consume with great frequency. However, after that initial lightbulb of “wow, I actually like red wine” went off, I quickly moved to anything and everything red under the sun. In doing so, I also learned an appreciation of what different AVAs can do with the same grape. This brings me back to the subject of today’s post: my love of Russian River Valley Zinfandels. The Russian River Valley and Dry Creek Valley are neighbors. You wouldn’t think the Zinfandels would be THAT different, right? Oh, but you would be wrong. The cooler climate and the fogs that help define the Russian River Valley produce an entirely different kind of Zinfandel. And it is delicious. Tonight we opened the 2006 Bella Russian River Zinfandel. The wine retails for $30 (I paid a few dollars less in my club shipment), had a real cork closure, and clocks in at 14.9% alcohol by volume. On the nose, big blackberries jump out, followed by pepper, cinnamon, black currant, pomegranate, milk chocolate, smoke, and blueberry. This had one of those scrumptious noses you would like to just keep sniffing, but that would mean you’d miss actually tasting the wine. In the mouth I got blackberry, black currants, black cherry, and chocolate notes. Smooth, with well integrated tannins and beautiful fresh fruit, this wine is very ready to drink. Oh the weather outside is frightful, but the fire is so delightful….a night that cried out for a Zinfandel, one of my favorite winter red wines. We dug into our own stash for this wine, looking for something that would warm us to our bones. 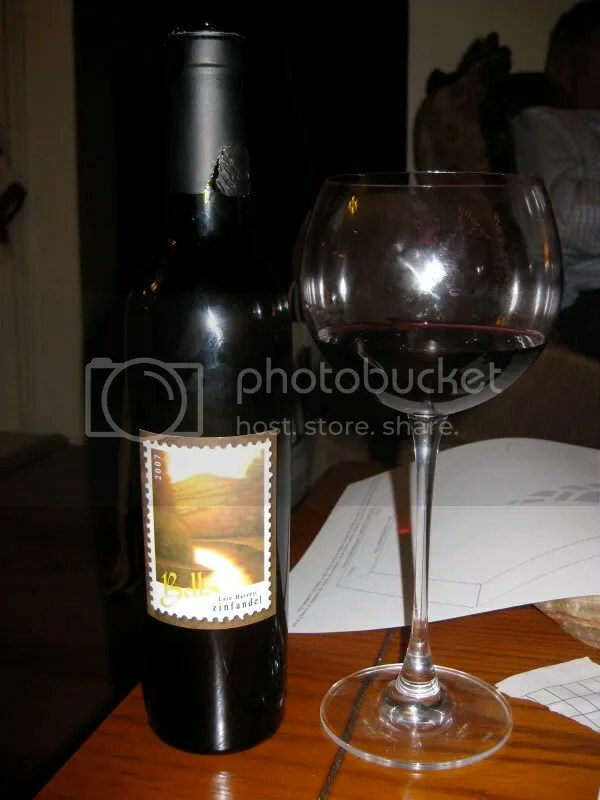 I pulled out the 2006 Bella Big River Ranch Zinfandel. I can’t recall what it cost, though I would guess in the $35 range with my club discount, it had a real cork closure, and clocked in at 14.8% alcohol by volume. A word to the wise on this one: leave it in your cellar for a while longer. It’s still a baby and needs a few more years of age to really reach its prime. 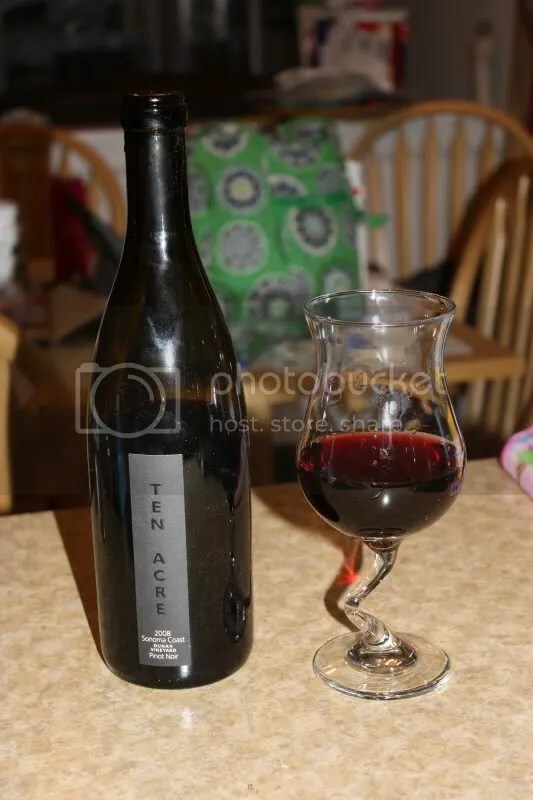 We stuck our Soiree wine decanter on the bottle and ran it though that, which helped, but it still needed time in the glass to really open up. On the nose I found raspberry, fresh blackberry, clove, baking spice, pepper, spice, dark fruit, and earthy notes. After a run through the Soiree and some time in the glass, the wine had a great nose that you could get lost in…or could stick your nose so far into that you end up with a red tipped nose! In the mouth I got the same raspberry, blackberry, and dark fruits as I found on the nose, spice, pepper, and charred meat. I found the palate to be quite spicy and peppery and redder than the nose, and definitely thought it deserved some more bottle age. On our last trip to Sonoma, one of my absolute must visits was to Bella Vineyards. I fell in love with Bella on our honeymoon and we joined their club at that time. However, when we bought our house, we had to make some sacrifices and I had to give up my membership. It was a difficult choice, and I was determined to rejoin as soon as we could. We twisted Russ’ arm to come to Bella with us on our last day in Sonoma (trust me, it didn’t take too much convincing!) and off we went, to meet him as soon as the place opened. We expected it to be a slow day, since we were there first thing, and it was a weekday morning, but alas, that was not the case. The cave was packed! I think Bella gets specific accolades from Russ though, as it was the only winery we visited where Russ bought wine! Somehow, we carved out a tiny spot for ourselves at the tasting bar, and eagerly jumped into the current line up of wines. 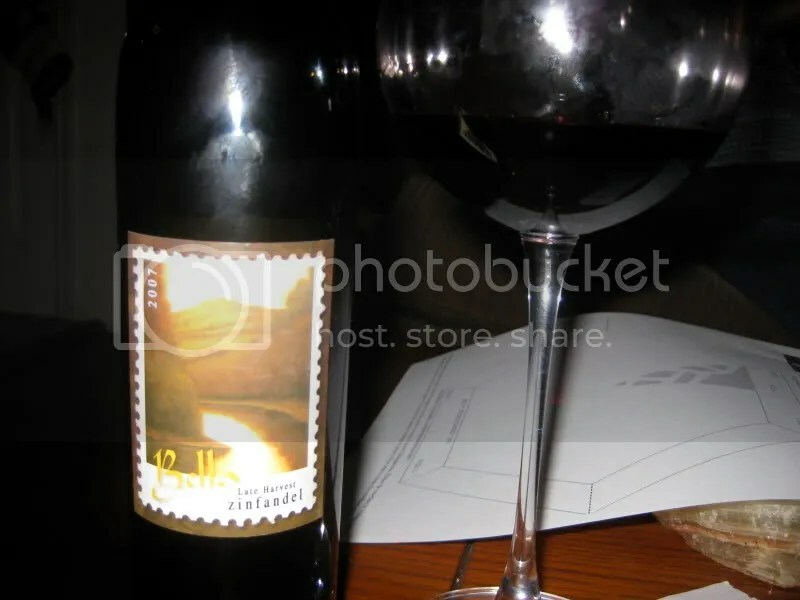 2006 Dry Creek Zinfandel: $25. Peppery smoke, blackberries, dark berries, smoky fruit, toast. 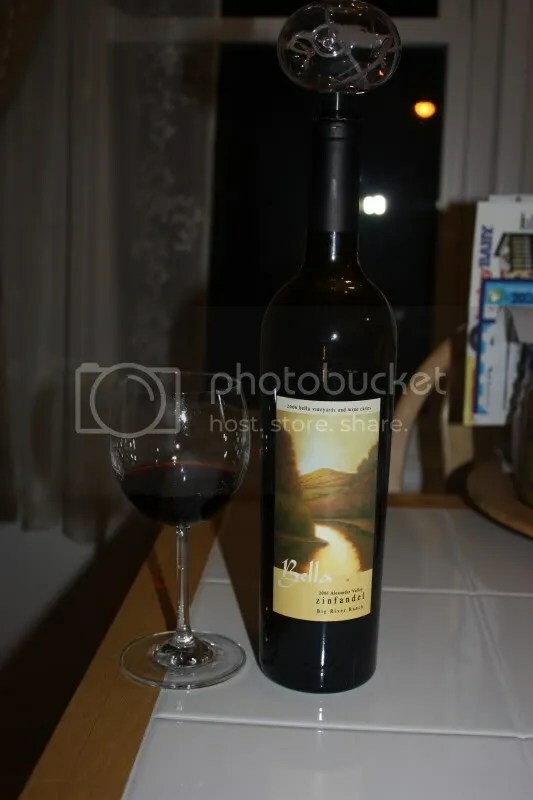 2005 Big River Ranch Zinfandel: $36. Bark berry, blueberry, peppery, vanilla, fruity, oak, cinnamon. Very good. 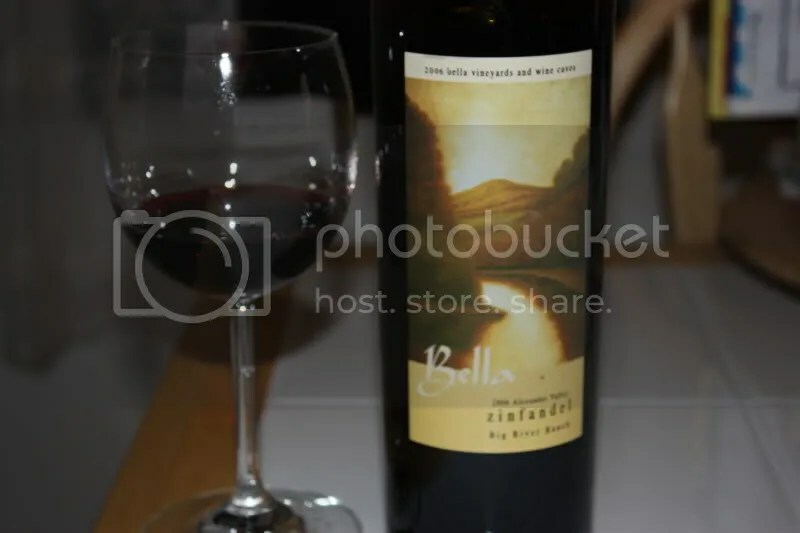 2006 Belle Canyon Zinfandel: Sweeter nose, floral, chocolate, chili pepper, tannic. 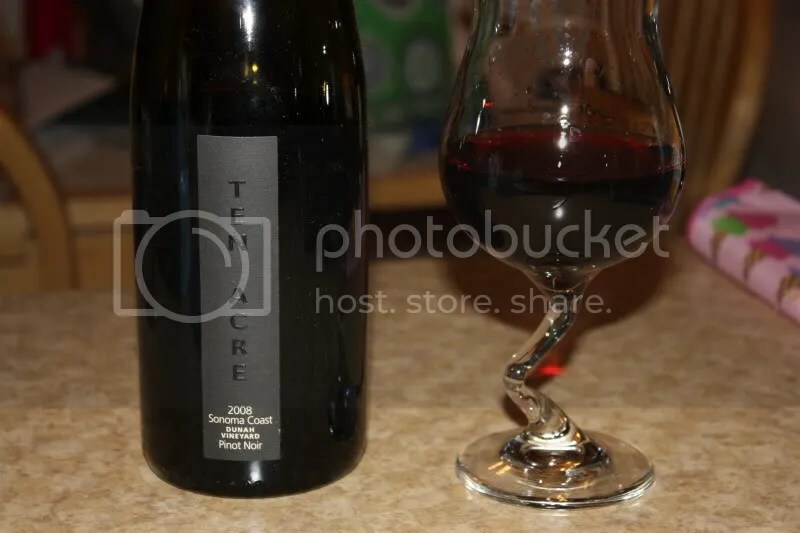 2005 Hillside Cuvee: $28. 50% Cabernet Sauvigon, 50% Zinfandel, some Petite Sirah, some Petite Verdot. Big fruit, dark, plum, bold fruit, currants, earth, tannic, a little red fruit. We took home 2 bottles. 2007 Late Harvest Zinfandel: $24. 375 mL. Chocolate milk, earth, plum, blackberry, very nice. After a lovely visit, I am very happy to be a member of the Bella Wine Club again. We received our first shipment about a month ago and I look forward to many more in the future. 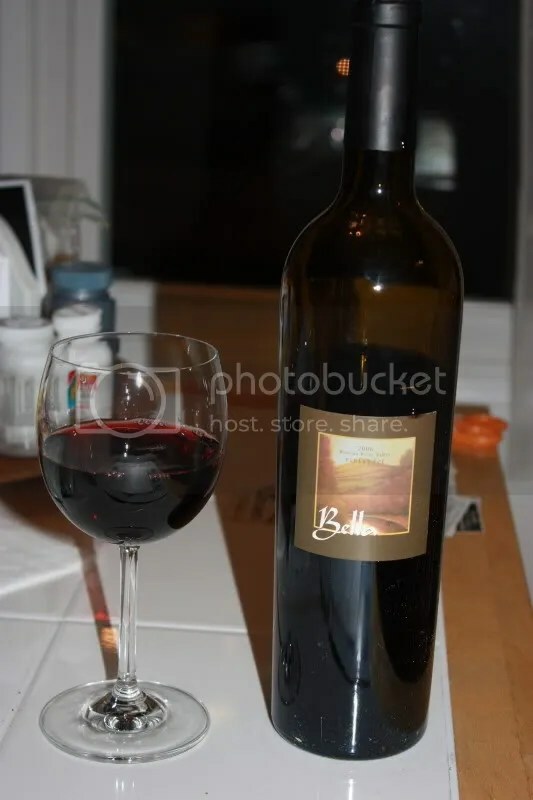 If you haven’t had a chance to taste Bella’s wines, you should seek them or stop by the vineyard if you have a chance!